Constructive suggestions and ratings are also welcome. Special thanks: @ceo5686 for beta-testing; @wogfan for screenshot. Now with NEW IMPROVED High Speed Sliding!!! Add a movie (also my first movie) for the last level. Fix a bug that the game crash when the first level is started. Remove slider and use a MUCH BETTER method in Trapped in the Island. This level is now much easier. Fix a bug for Run out of the Cave. Add OCD for High Speed Sliding. Add a new level called Run out of the Cave. Fix a bug. Make High Speed Sliding easier. Improve the signpost of Fly into the Sky. Add timebugs for the first level. Fixed 1 bug, add 1 new level. Deleted all spoilerish comments and publish. Very nice chapter, sorry for taking so long in getting it approved. Thank you very much for publishing!!! How do you make your own WOG? By reading the Reference Guide here. A new level was created. Hope you like it. Does the moon chapter already exist? Are you going to make it? I remember there is one made by puggsoy. Still, this is great, and you should make a whole new world of goo. Here it is. It's GOo-gle's. Sorry I forgot. 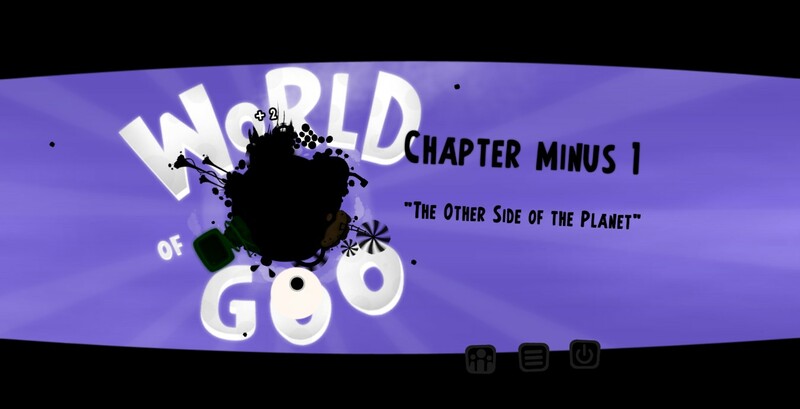 I don't have much time to make a whole world of goo. Maybe I will make one some time later. I cant find the pipe on run out of the cave. It's on the top of the level after you finish running. It's a bit not obvious. I will think of that. Wow I like the idea.No need to change it. But I find the third set gear a bit too hard. Do you know you can use your mouse wheel while dragging? I actually spotted that when I was playing the last level in this chapter. I never noticed that before! You're welcome and thank you for playing my chapter too. 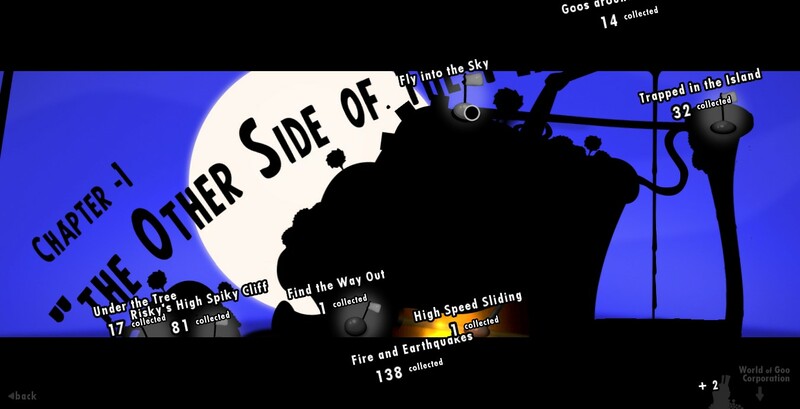 Now I cant figure our what to do in fly into the sky.I try to make the line go 0.5 kilometer but it is very hard. Think about the centrifugal force and your mouse wheel. They are useful to solve it. The exit is at 5 metres higher than the area you can see. So I have to move the line around and around until it gets enough speed? Though trying to spin it is hard.A video would help.Wont give up though! Edit: Finished the chapter,very nice and creative levels.Is chapter -2 coming soon? Now this level is improved and it should be easier. Try out the 1.1 version. Is it larger than 25 MB? What actually happens? You upload it, you enter the details on the form, and then it shows up, but later it vanishes? Let me know in IRC if it looks like a site bug, but please give me specific details on what is happening. It's still there but when I clicked it, I got Page not found. But it seems I can download those goomod that I deleted again. I cannot reach the height at the level "Fly to the sky". Try harder. Or try to rotate the structure around the screen.